1. 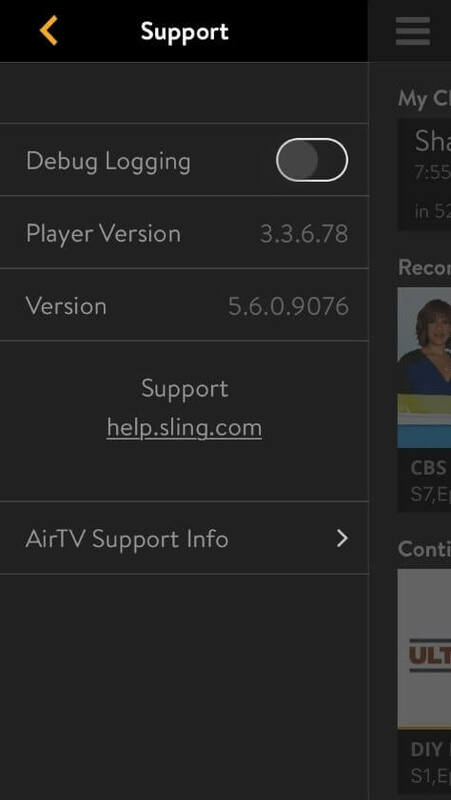 Is the AirTV already setup on the Sling App? a. If Yes: Proceed to step 2.
b. 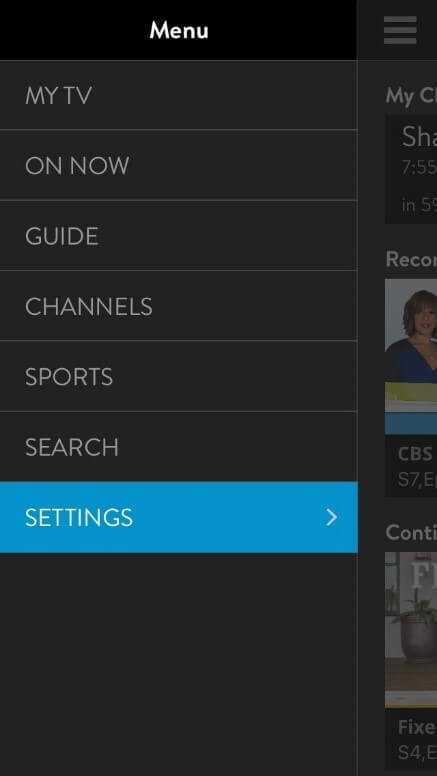 If No: The local channel DVR only works with the Sling app. 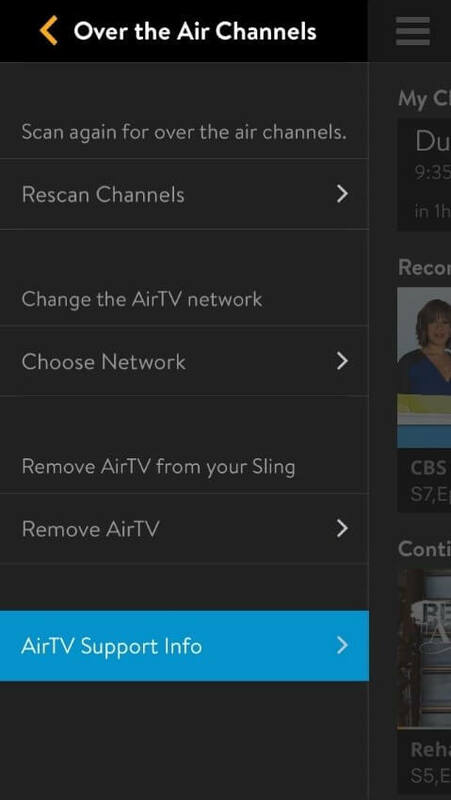 AirTV devices setup with the AirTV app will need to be factory reset and then set back up on the Sling App. 2. Are you using a DVR compatible device? 3. 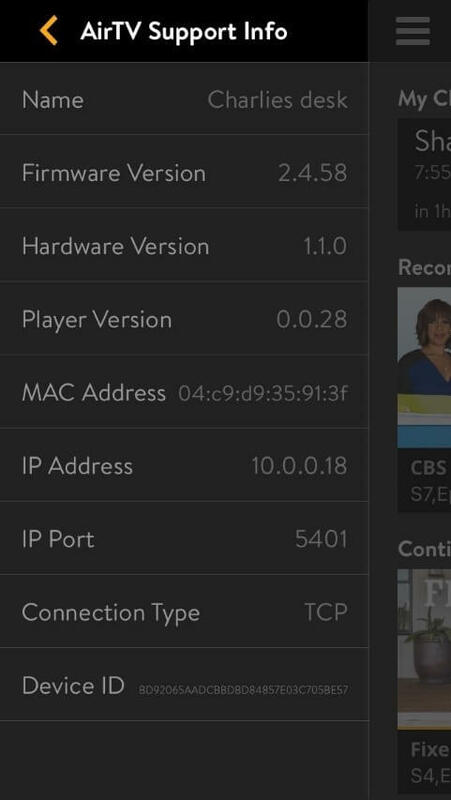 Is the Sling app up to date with the minimum version to run DVR? i. Navigate to the Sling app settings. ii. In the settings select "Support". iii. The app version is listed on the support page as "Version". If the version displayed is lower than the version listed above, visit your app store and update to the most current Sling app. 4. 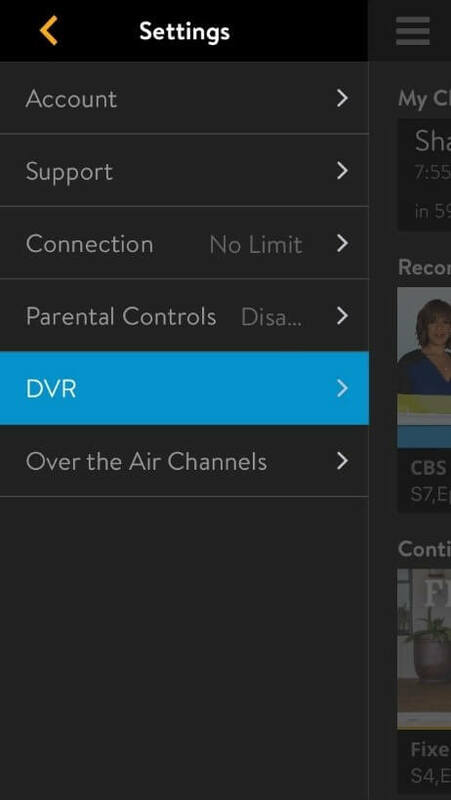 Is the AirTV Firmware up to date with the minimum version to run DVR? i. Navigate to the settings. ii. 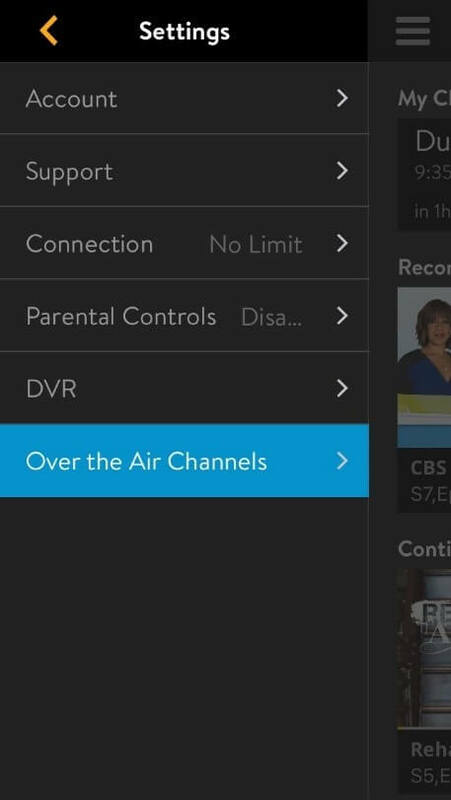 In the settings select "Over the Air Channels". iii. 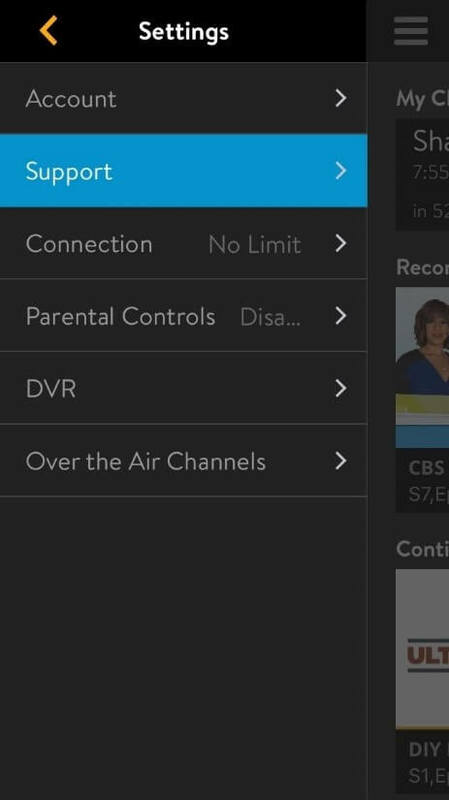 Then select "AirTV Support Info". iv. View the Firmware Version field. v. If the firmware version is lower then the one listed above, reset your AirTV device by unplugging it and plugging it back in. vi. If the firmware still has not updated a factory reset may be needed to insure the latest version is downloaded. The AirTV will have to be setup again after a factory reset. 5. 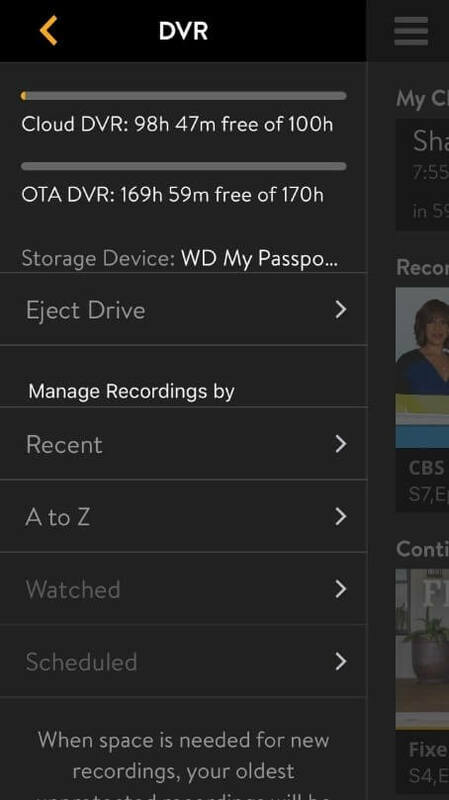 Is a hard drive connected to the AirTV device? a. Is the hard drive larger than 50 GB? If Yes: Proceed to step 5.b. If No: The minimum compatible hard drive size is 50GB. b. Is the hard drive formatted to the AirTV? i. Navigate to app settings. ii. In the settings selet "DVR". iii. If a drive is connected the name of the device will be shown along with the option to eject. If no drive is formatted then this option will not be visible, and instead there will be a message about setting up Local channel DVR. iv. If no drive is formatted, then local channels DVR has not been set up. Note: If a hard drive is plugged into the AirTV and not showing as being formatted, unplug and re-plugin the hard drive to start the process. 6. After the hard drive has been formatted, is the record button showing in the I-View? a. If Yes: You are ready to record! b. If No: Close out of the app completely and restart the app. After the app restarts the option to record will appear!